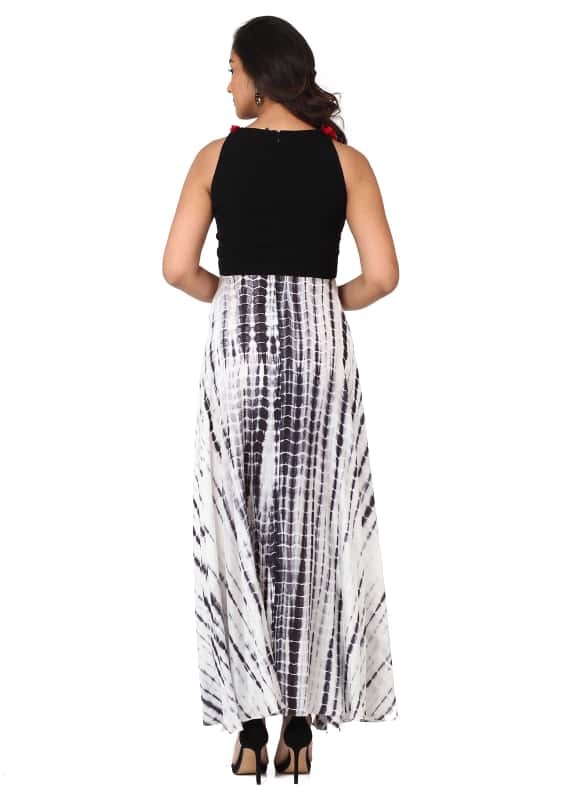 This black and white tie-dye dress comes with a red fringe border and sequins neckline. 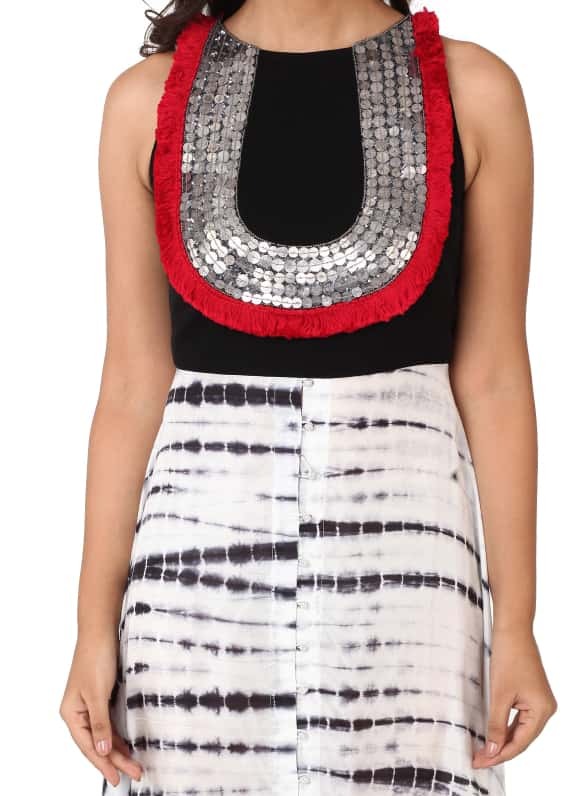 This easy-breezy tie and die dress makes for the perfect outfit for a dinner party. Complete your look with a pair of Maithilli Kabre earrings.